It's soft and perfect. My son loves it and wears it all the time. Whether lounging at home or as his pjs. Bought these as a Halloween costume idea and ended up loving them enough to just wear around. They shipped in time, they're well put together, and they're EXTREMELY comfortable. My only complaint would be tail placement (as it makes it awkward to sit or lay down) but it's such a minor complaint that i couldn't really care less. Definitely would recommend. 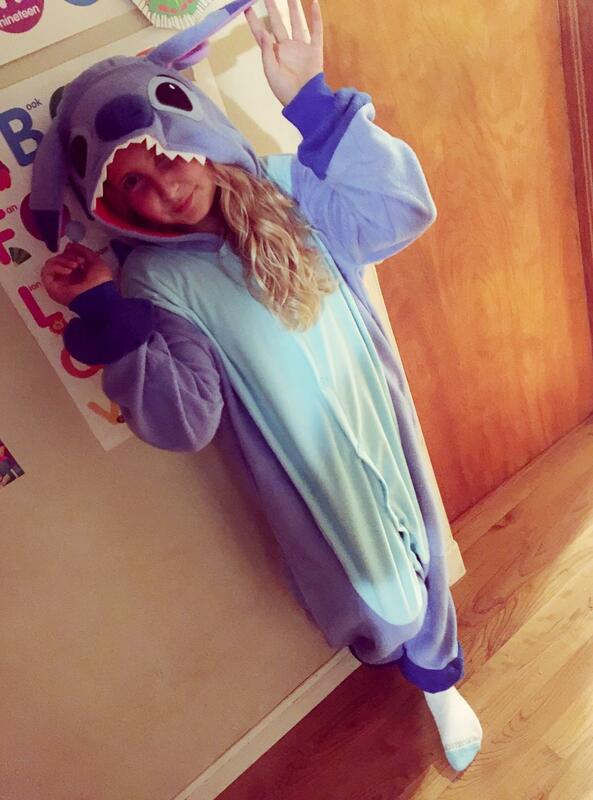 I used the measurements in the size chart to purchase this for my daughter and it fit her well. She really likes it.It seems to be well made and I've washed it with no problems so far. It was also delivered on time. 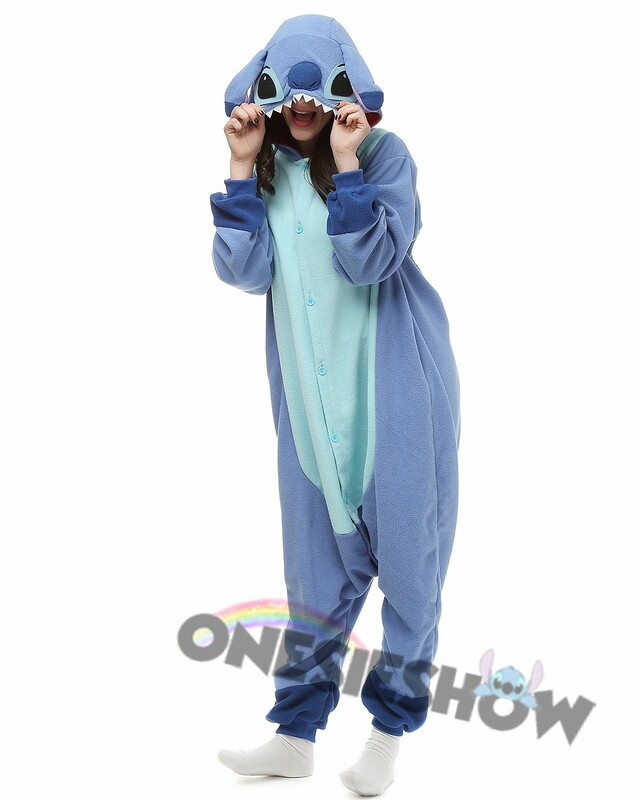 This onsie is adorable! 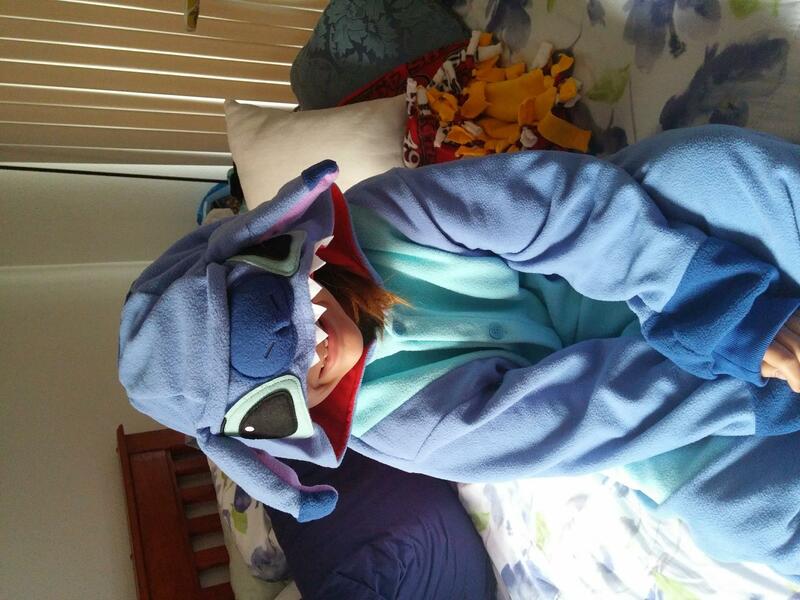 I got it for my 10 year old daughter to wear for Halloween. I was worried it would be huge but the small fit her surprisingly well! It was longer and baggy in the crotch area but I expected that because she is the smallest height it is recommended for. She is 4'9" and weighs around 90 lbs. 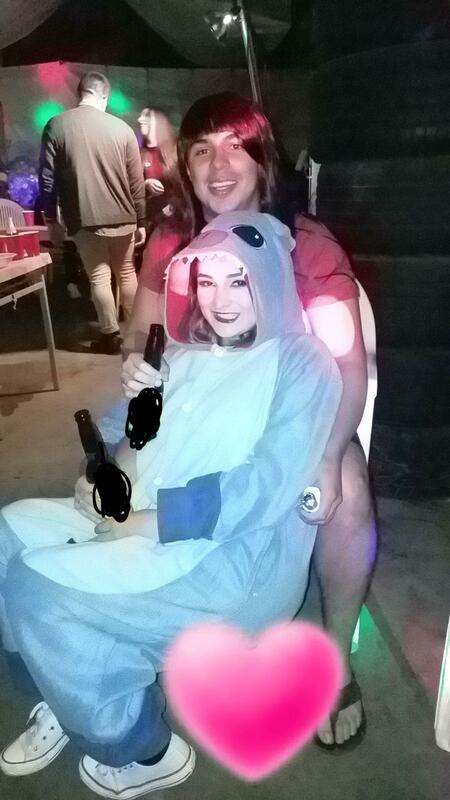 she is happy and I am happy to have a halloween costume that she will keep using even after the one night! favorite favorite favorite!!! oh my gosh yess!! it's so comfy and soft and I love that it has a tail!! the zipper catches sometimes, but other than that I am absolutely in love!! I loved it! Very soft and comfy. 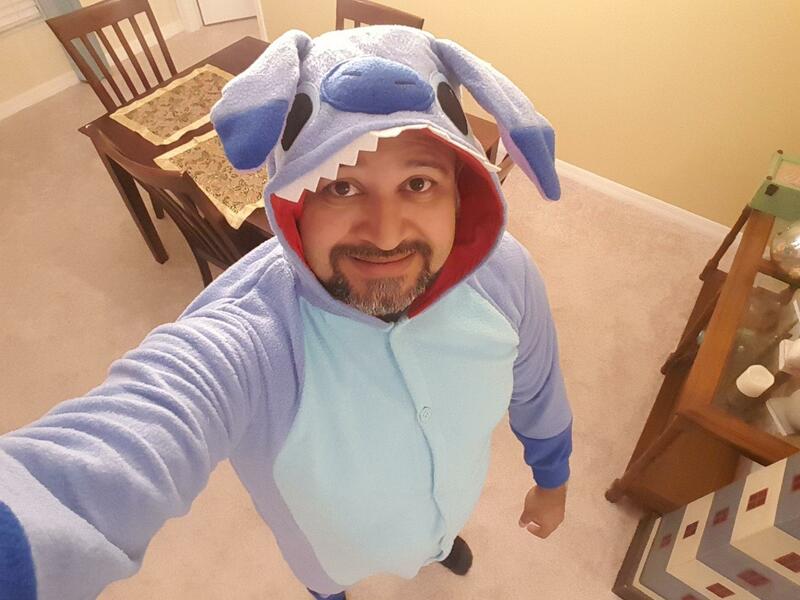 I am a medium but decided to go with small because it is a baggy suit and honesty it was perfect for my costume look. 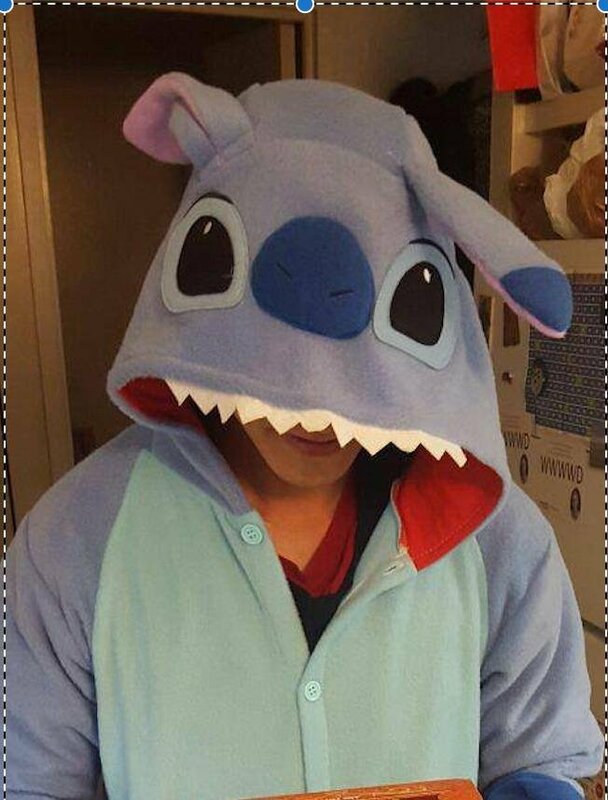 bought this for my brother.. he loves stitch. material is not too thick but it is. still very warm. I was starting to sweat a little while trying it on. it is small on me but will fit him just fine. 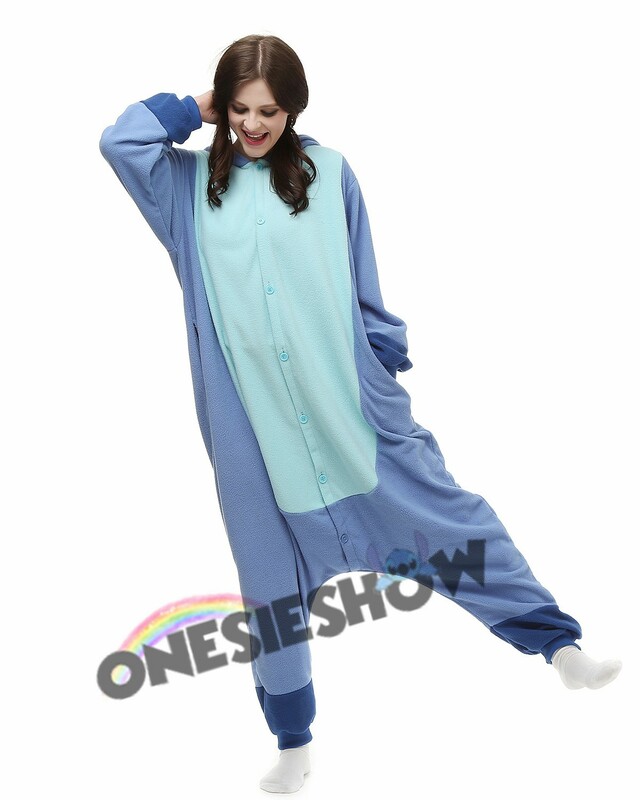 nice big buttons up front put a finishing touch on the adult pajamas. 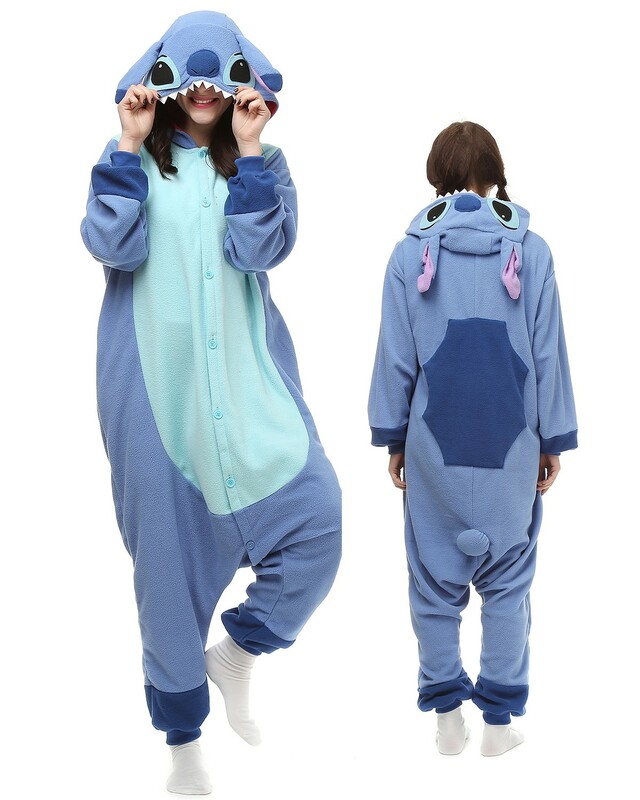 The stitch pajama is very cute and soft. It is comfortable to wear and especially suitable for winter because it is warm. 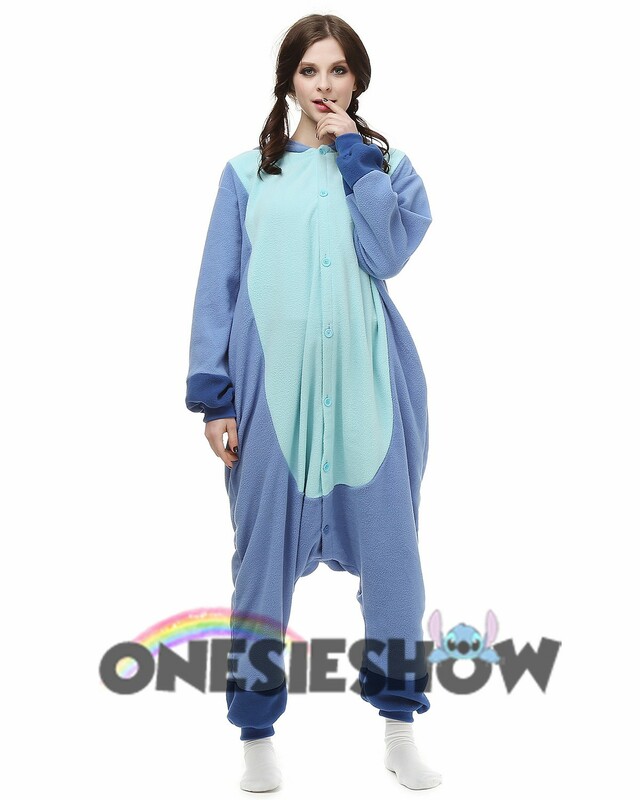 The only two caveats of the pajama is when I go to bathroom, it takes more time (more convenient for guys but not girls). Second, when I sit, I easily to sit on the tail of the Stitch. 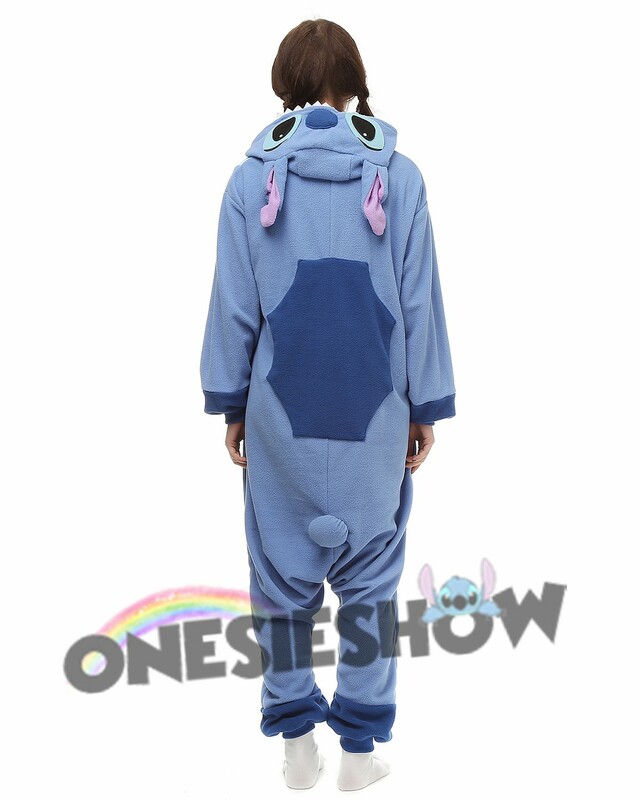 If the design can move the tails a little bit up, then it will be an interesting and funny gift for people who like Stitch like me.